Match ends, Shrewsbury Town 1(3), Manchester City U21 1(1). Penalty Shootout ends, Shrewsbury Town 1(3), Manchester City U21 1(1). Goal! Shrewsbury Town 1(3), Manchester City U21 1(1). Charlie Colkett (Shrewsbury Town) converts the penalty with a right footed shot to the bottom left corner. Penalty missed! 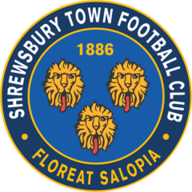 Still Shrewsbury Town 1(2), Manchester City U21 1(1). Tom Dele-Bashiru (Manchester City U21) hits the bar with a right footed shot. Goal! Shrewsbury Town 1(2), Manchester City U21 1(1). Oliver Norburn (Shrewsbury Town) converts the penalty with a right footed shot to the bottom right corner. Goal! Shrewsbury Town 1(1), Manchester City U21 1(1). 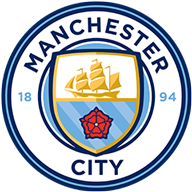 Rabbi Matondo (Manchester City U21) converts the penalty with a right footed shot to the top left corner. Penalty missed! Still Shrewsbury Town 1(1), Manchester City U21 1. Doug Loft (Shrewsbury Town) hits the right post with a left footed shot. Penalty missed! Still Shrewsbury Town 1(1), Manchester City U21 1. Adrian Bernabe (Manchester City U21) hits the right post with a right footed shot. Goal! Shrewsbury Town 1(1), Manchester City U21 1. Lenell John-Lewis (Shrewsbury Town) converts the penalty with a right footed shot to the top left corner. Penalty saved! Nabili Zoubdi Touaizi (Manchester City U21) fails to capitalise on this great opportunity, right footed shot saved in the bottom left corner. Penalty saved! Fejiri Okenabirhie (Shrewsbury Town) fails to capitalise on this great opportunity, right footed shot saved in the bottom right corner. Penalty Shootout begins Shrewsbury Town 1, Manchester City U21 1. Second Half ends, Shrewsbury Town 1, Manchester City U21 1. Attempt missed. Luke Waterfall (Shrewsbury Town) header from the centre of the box is just a bit too high. Corner, Shrewsbury Town. Conceded by Joel Latibeaudiere. Attempt missed. Claudio Gomes (Manchester City U21) right footed shot from outside the box is just a bit too high. Corner, Manchester City U21. Conceded by Luke Waterfall. Corner, Shrewsbury Town. Conceded by Nathanael Ogbeta. Goal! Shrewsbury Town 1, Manchester City U21 1. Nabili Zoubdi Touaizi (Manchester City U21) converts the penalty with a right footed shot to the bottom right corner. Penalty Manchester City U21. Richard Dionkou draws a foul in the penalty area. Penalty conceded by Ryan Haynes (Shrewsbury Town) after a foul in the penalty area. Attempt missed. Tom Dele-Bashiru (Manchester City U21) right footed shot from the centre of the box is close, but misses to the right. Corner, Shrewsbury Town. Conceded by Ian Carlo Poveda-Ocampo. Attempt missed. Adrian Bernabe (Manchester City U21) left footed shot from outside the box is close, but misses to the right. Substitution, Shrewsbury Town. Charlie Colkett replaces Arthur Gnahoua. Attempt missed. Tom Dele-Bashiru (Manchester City U21) right footed shot from outside the box is close, but misses to the right. Substitution, Shrewsbury Town. Ryan Haynes replaces James Bolton. Attempt missed. Doug Loft (Shrewsbury Town) left footed shot from outside the box is close, but misses to the right. Foul by Claudio Gomes (Manchester City U21). Attempt blocked. Tom Dele-Bashiru (Manchester City U21) right footed shot from long range on the left is blocked. Corner, Manchester City U21. Conceded by James Bolton. Foul by Doug Loft (Shrewsbury Town). Ian Carlo Poveda-Ocampo (Manchester City U21) wins a free kick in the defensive half. Substitution, Manchester City U21. Richard Dionkou replaces Tyreke Wilson because of an injury. Corner, Shrewsbury Town. Conceded by Rabbi Matondo. Substitution, Shrewsbury Town. Lenell John-Lewis replaces Lee Angol. Substitution, Manchester City U21. Ian Carlo Poveda-Ocampo replaces Benjamin Garre. Substitution, Manchester City U21. Joel Latibeaudiere replaces Cameron Humphreys-Grant. Corner, Manchester City U21. Conceded by Omar Beckles. Attempt saved. Luke Waterfall (Shrewsbury Town) header from the centre of the box is saved in the top right corner. Attempt missed. Arthur Gnahoua (Shrewsbury Town) right footed shot from outside the box is close, but misses to the left. Attempt missed. Luke Waterfall (Shrewsbury Town) right footed shot from outside the box is too high. Goal! Shrewsbury Town 1, Manchester City U21 0. Lee Angol (Shrewsbury Town) right footed shot from the centre of the box to the bottom left corner. Assisted by Luke Waterfall following a corner. Attempt missed. Lee Angol (Shrewsbury Town) header from very close range is just a bit too high. Second Half begins Shrewsbury Town 0, Manchester City U21 0. First Half ends, Shrewsbury Town 0, Manchester City U21 0. Foul by Benjamin Garre (Manchester City U21). Attempt blocked. Claudio Gomes (Manchester City U21) right footed shot from outside the box is blocked. Attempt blocked. Doug Loft (Shrewsbury Town) left footed shot from outside the box is blocked. Attempt missed. Doug Loft (Shrewsbury Town) left footed shot from the left side of the box is close, but misses to the left. Adrian Bernabe (Manchester City U21) wins a free kick in the defensive half. Attempt saved. Doug Loft (Shrewsbury Town) right footed shot from the right side of the box is saved in the bottom left corner. Corner, Shrewsbury Town. Conceded by Tyreke Wilson. Nathanael Ogbeta (Manchester City U21) wins a free kick in the attacking half. Foul by Arthur Gnahoua (Shrewsbury Town). Corner, Manchester City U21. Conceded by Kieran Kennedy. Attempt blocked. Nabili Zoubdi Touaizi (Manchester City U21) left footed shot from the centre of the box is blocked. Attempt saved. Tom Dele-Bashiru (Manchester City U21) right footed shot from outside the box is saved in the bottom left corner. Foul by Adrian Bernabe (Manchester City U21). Doug Loft (Shrewsbury Town) wins a free kick on the left wing. Nabili Zoubdi Touaizi (Manchester City U21) wins a free kick on the right wing. Attempt blocked. Arthur Gnahoua (Shrewsbury Town) left footed shot from outside the box is blocked. Claudio Gomes (Manchester City U21) wins a free kick in the attacking half. Delay in match Adrian Bernabe (Manchester City U21) because of an injury.